deacidification i.e. physical refining processes. Because rice bran contains more free fatty acids , in order to ensure deacidification, deodorization effect, double soft packing process tower production. Dewaxed oil into the getter by heating, removal of air in the oil, which is fed by the oil pump – oil heat exchanger, a heater of mineral oil, rice bran oil is heated to about 250 â„ƒ. 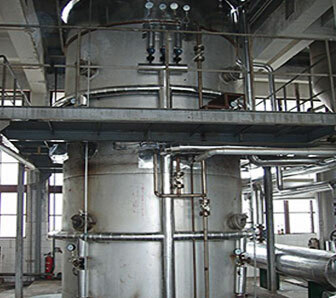 maintaining bran oil heated to about 250 â„ƒ, into the filler deacidification, deodorization second stripping column deacidification, bran oil will be more thorough removal of free fatty acids final free fatty acid content in the oil of about 0.1%.